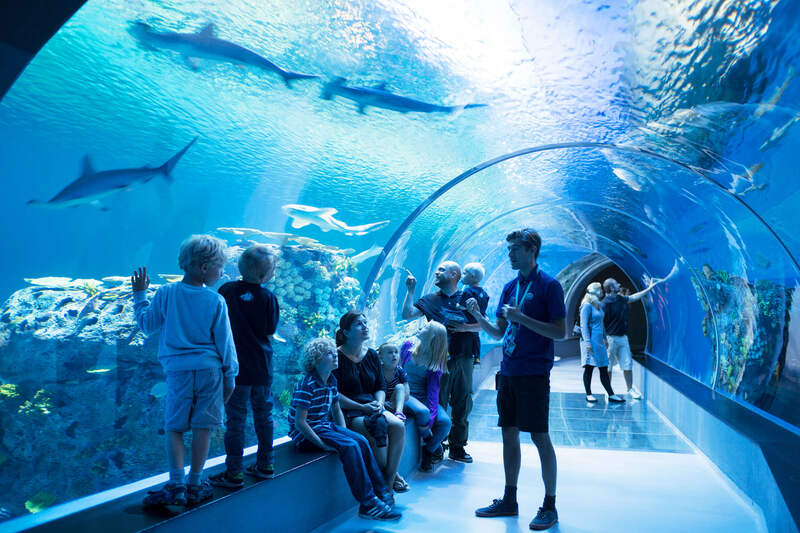 Visit the National Aquarium Denmark, Den Blå Planet for a day full of fun. The fascinating creatures will amaze you, the world-class architecture will take your breath away and the exhibitions will teach you all about life under water. Our friendly staff are always ready to help any way they can. The National Aquarium Denmark’s beautiful and distinctive architecture has taken the world by storm. This unique architectural landmark in Copenhagen has won several major international awards, including a RIBA EU Award and the World Architecture Festival’s Display Award. 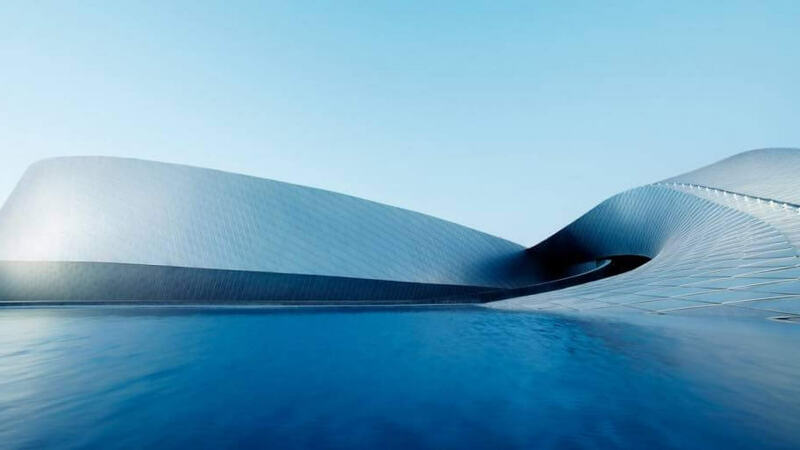 The aquarium’s architecture is inspired by a whirlpool comprising five ‘arms’ that reach across the entire globe – from the cold Nordic seas to the beautiful coral reefs of the world’s oceans. We work hard to keep the aquarium looking its very best. How do fish hear and see under water? And can you talk like a fish? 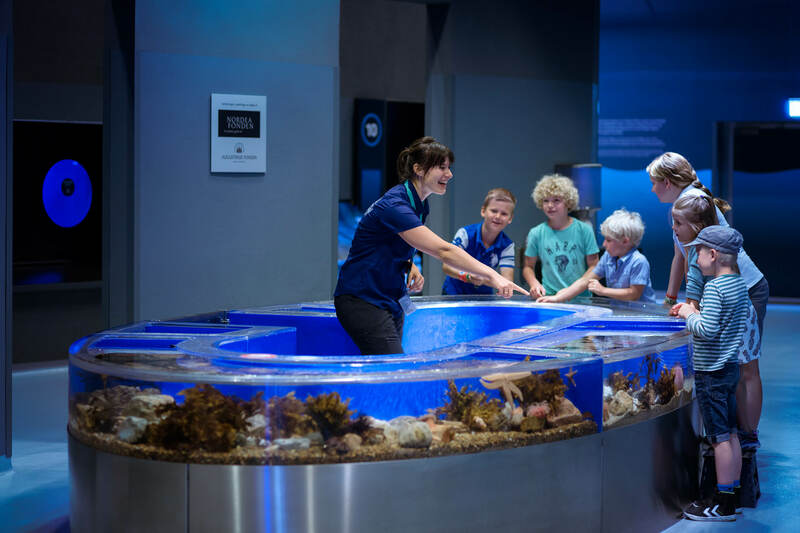 Our award-winning digital exhibition provides visitors with an extraordinary experience by exploring the fascinating and mysterious life under water through education, play and immersion. Touchscreens, interactive units and digital games make it even more fun to combine learning and play. For example, you can design your own fish and set it loose in a digital aquarium. The National Aquarium Denmark has also developed an app that allows visitors of all ages to find information about the fish they find particularly interesting. The app can also be used as a “fish encyclopaedia” before, during and after the visit. With a splendid view of the sea, our restaurant, Tang Bistro & Café, is an attraction in its own right. The menu is designed to cater to all tastes with contemporary interpretations of fresh seasonal produce and always featuring fresh and sustainably sourced fish from the seas around us. We also have delightful pastries – try a light and flaky croissant with a delicious caffe latte. Kids are experts at sensing and experiencing the world. Every day, we see children standing with their noses literally pressed against the aquarium glass, fully immersed in a new universe. 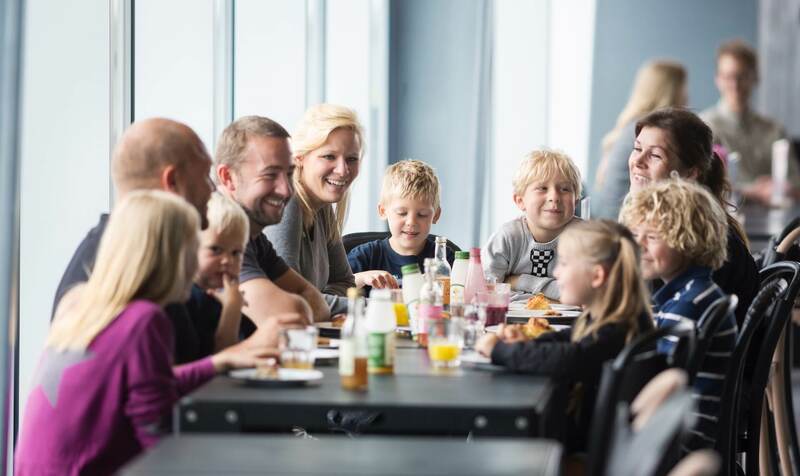 On rainy days, the National Aquarium Denmark is a great place to enjoy a day indoors surrounded by 7 million litres of water. And when the sun comes out, the beauty of the aquarium leaves a lasting impression. Enjoy the view of the sea and the Øresund Bridge to Sweden. In the summer, the kids can splash about and play in the water playground, go exploring in the Wondrous Waterhole and fish from the pontoon bridge.